Hi loves! 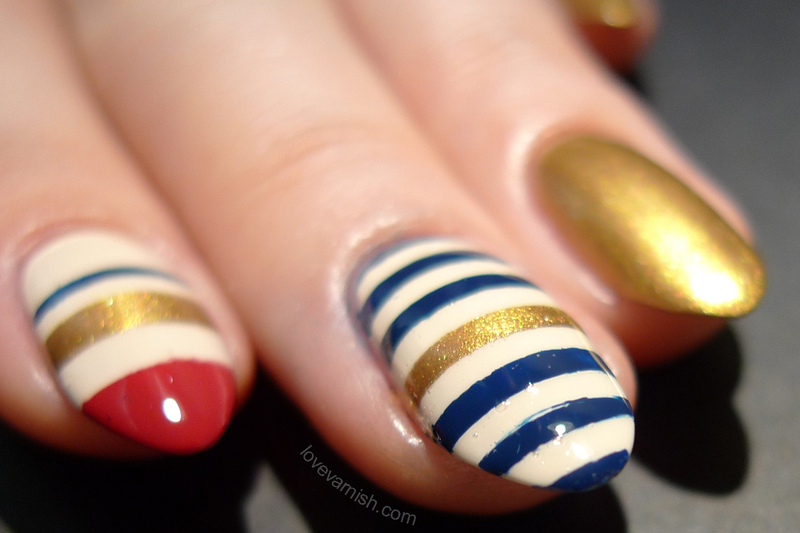 Today I have some fun nautical nails to show you, using vinyls kindly sent to me by She Sells Seashells, a UK based nail art shop. The package took quite some time to arrive (over a month!) but I was so happy to see what was all in the envelope. Sarah creates both smaller stencils, full nail stencils and vinyls like straights and chevrons to create fun nail art looks. You can also pick up cute studs, decals and other nail art goodies in her webshop! For my first look I combined the straight vinyls and the anchor stencil/decal combination. These vinyls are really easy to work with, the most important thing is your base is really really dry because otherwise you'll pull it away when removing your vinyl. 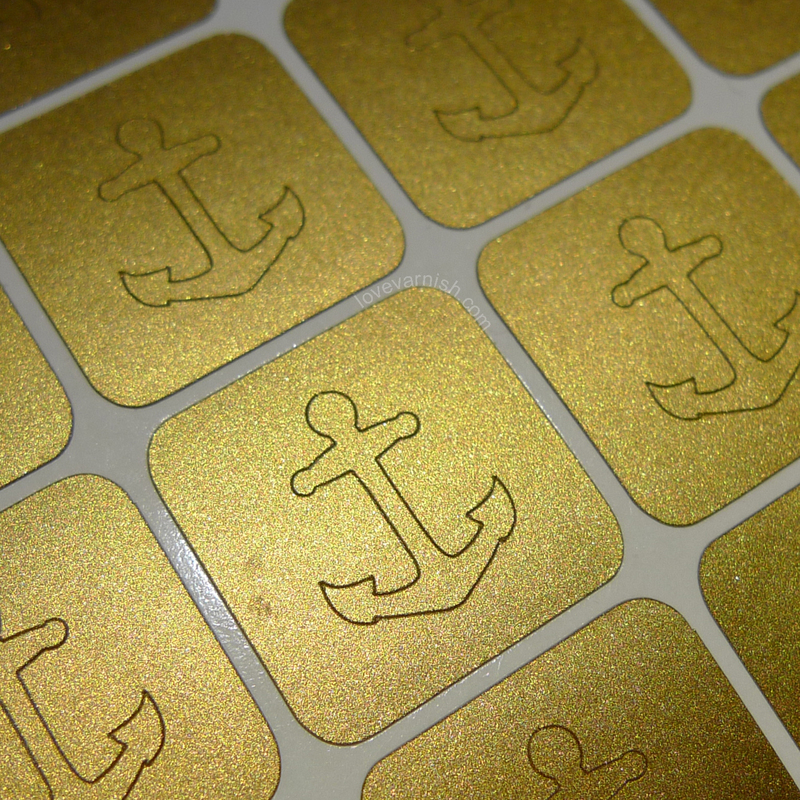 The anchor is the sticker part, you could also use the surrounding sticker as a stencil but since the golden tone exactly matched my golden polish this was way easier ^^. My base is the lovely OPI My Vampire Is Buff (3 coats). After it dried I placed straights with various thickness on my index finger, and used the smallest straights on my middle finger. After you put them down properly (make sure they stick to the edges as well) just brush over with the polish of your choice and remove the vinyls immediately after that to reveal your artwork. My thumb was decorated with the anchor sticker. This fitted nicely but I think it might be a bit too wide for my other nails. 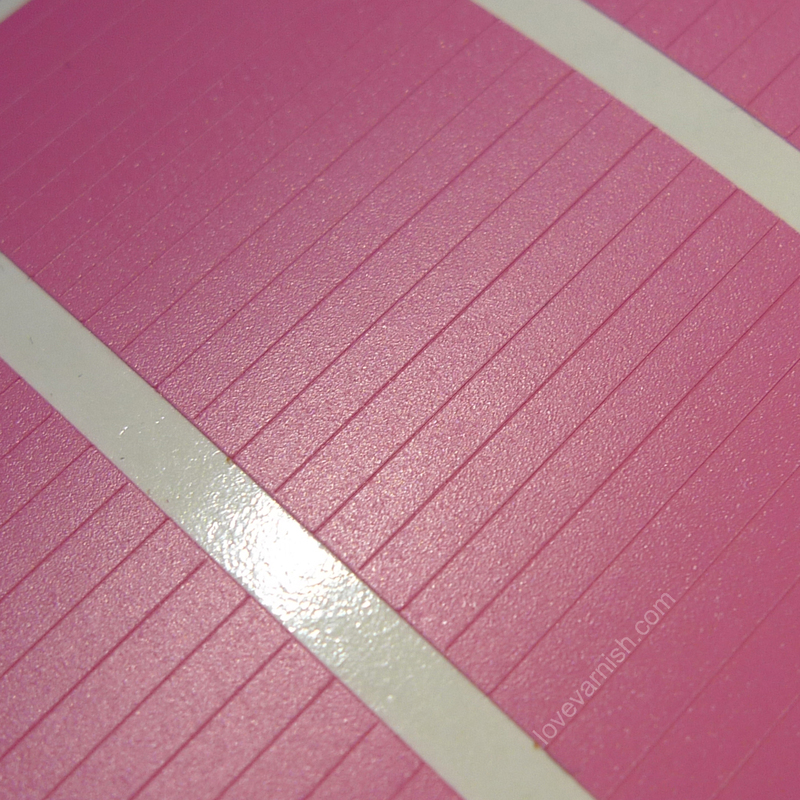 It also a bit difficult to peel out the sticker if you don't want to use the stencil yet. I do like the metallic finish! My first experience with these vinyls was good. They apply easily but aren't too stubborn to remove again. It isn't hard to fit them to the curve of my nails and I didn't have issues with polish seeping through. 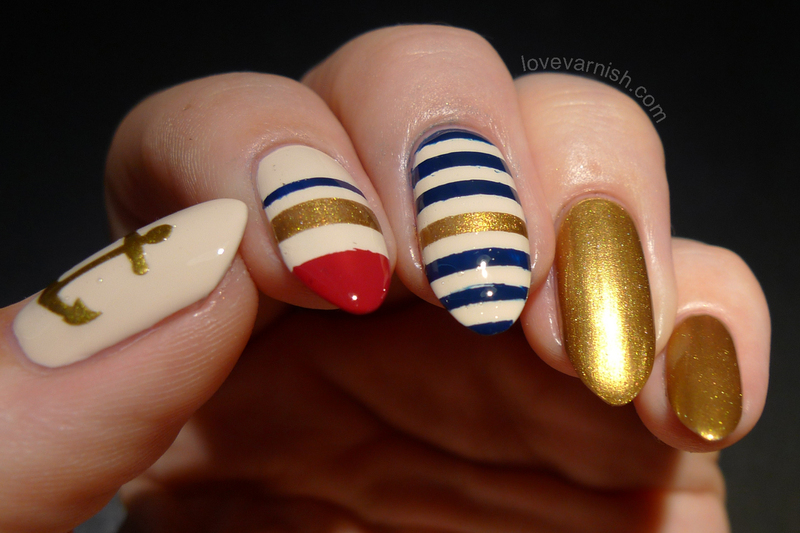 What do you think of these nautical nails? And have you ever tried vinyls before? She Sells Seashells is a UK based nail art shop. You can find a variety of stencils, vinyls, water decals, studs and embellishments to decorate your nails. You can also connect with Sea Sells Seashells on Instagram, Facebook and Twitter. Your nails look so amazing at this shape. Also, I love the nail art and color combination! I love the combo of colors and patterns you chose! I got some vinyls from She Sells Seashells (say that three times fast! ), but haven't tried them, yet. Yes! It's H&M Golden Treasure. I completely forget to mention it, lol. Thanks so much Kerry :). Aww, thanks Cris! I am in doubt though because the tipwear is MASSIVE. Drives me nuts! Haha yeah, love the name but even pronouncing it once correctly is a hassle.